The names and details for many millionaires who bought Maltese passports last year remain concealed in an official list that contains the people naturalised and registered as citizens of Malta. The list, published in The Malta Government Gazette, features the names of more than 2,150 applicants granted citizenship through naturalisation – a process involving strict rules including residency – with those who bought in through the controversial passports scheme introduced in 2014. Asked for a breakdown of the passport buyers in the alphabetical list published, the Office of the Prime Minister, which is now politically responsible for the scheme, declined to provide details. The Times of Malta asked for a list of passport buyers, their countries of origin, a breakdown of how many had acquired citizenship through naturalisation or through the passport scheme and the number of dependents of millionaires added to Malta’s citizens register. None of the information requested had been supplied at the time of writing. The 2016 list of new Maltese citizens, which is normally published in summer but was this time delayed for reasons unknown, contains 2,182 new citizens listed in order by first name, instead of surname, as was the standard practice until the scheme, known as an Individual Investment Programme, was introduced. Listing citizens by first name, rather than surname, means it is more laborious to identify instances in which entire families have become Maltese citizens. Most of the surnames on the list are not Maltese, with many Arabic, Middle Eastern and Asian surnames included. Since introducing the scheme, the government has always refused to give precise details on the names of millionaires buying Maltese passports, giving various reasons ranging from discrimination to diplomatic problems with the countries of origin. The government argues that the publication of the names of the new Maltese citizens would affect the success of the scheme as many of the buyers preferred discretion. 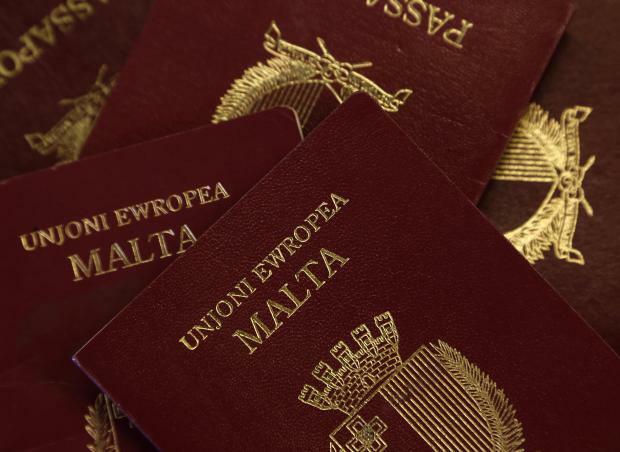 Details on the number of passport buyers obtaining Maltese citizenship since the scheme’s inception have never been given. However, according to the most recent report by the scheme’s government-appointed regulator, as of last June, there were some 1,101 main applicants seeking to buy a Maltese passport. The regulator said that, on average, a main applicant would also apply for two dependents. The scheme, harshly criticised by the Opposition and the European Parliament, sells Maltese and EU citizenship for less than €1.4 million. Applicants must pay a contribution of €650,000 to the government and invest for five years in property and bonds. Most of the money goes into the National Development and Social Fund, which at the end of last month held €360 million. Concessionaire Henley & Partners – a foreign firm specialising in sale-of-citizenship schemes in the Caribbean – are entitled to a four per cent cut on every application. Other agents, mostly Maltese law and financial advisory firms, also receive a lucrative income from the fees they charge on every application. Last month, a delegation of MEPs asked the Prime Minister for a list of those buying a Maltese/EU passport. This was rejected, since it was deemed to be illegal. Similar schemes also exist in the EU, mainly in Cyprus and Portugal. The Maltese government argues that its scheme is the most attractive one. In a statement, the Partit Demokratiku called for the publication of those who purchased Maltese passports as part of the Individual Investor Programme. It said one of the main criteria for a person to be able to buy Maltese citizenship was that they were in good standing - therefore the call for transparency should not negatively affect the passport scheme unless these investors had something to hide at a time when Malta's reputation might be at stake. It asked if the government had given in to lobbying pressure to fully lift the cap of 1,800 applicants negotiated with the European Commission, since as of September 2017 the number of applicants was at 1,500. PD asked where all the money attached to the programme had gone, how much had ended up in the Maltese treasury, and how much had ended up in consolidated funds. Until now, it said, most of the infrastructure projects depended on EU funding, and there were no serious plans in place to deal with Malta's intermediate and long term infrastructure or transport problems. PD called for full transparency noting the programme fundamentally devalued Maltese citizenship, particularly at a time when the need for good governance in Malta was at an all-time high. “It is Partit Demokratiku's intention to challenge the government in Parliament on this issue, and raise a debate about where the money is going and where it will be spent. It is evident we have a government where its responsibility to good governance leaves much to be desired,” it said.